New York Gov. 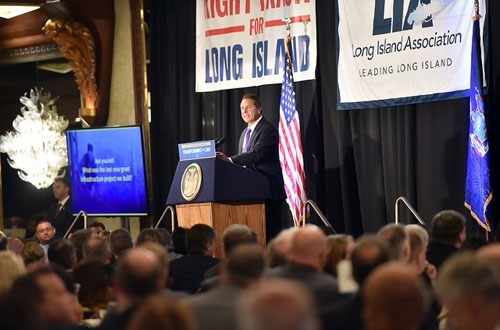 Andrew Cuomo spoke at a July 19 luncheon for the Long Island Association where he outlined the historic $5.6-billion transformation of the Long Island Rail Road (LIRR). The LIRR system overhaul is part of New York’s $100 billion infrastructure program and includes 100 capital projects on the commuter line that the governor’s office says will modernize transportation across the region. The projects are expected to increase capacity on the system by more than 80 percent. The 100 projects moving forward include the Main Line Third Track, Double Track, Jamaica Station Reconstruction, renovating 39 LIRR stations and eliminating grade crossings. “With the complete transformation of the Long Island Rail Road, New York is recapturing the bold ambition that made our infrastructure the envy of the nation and building for the future. The LIRR is the backbone of the region’s economy, and the strength and resiliency of Long Island requires bold, transformative investments to bolster our transportation network,” Gov. Cuomo said. 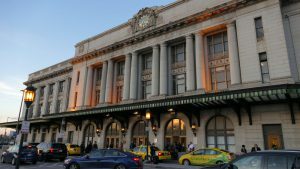 The governor’s office notes that the LIRR projects are moving forward thanks to the partnerships between the Metropolitan Transportation Authority, state and local officials and the communities of Long Island. 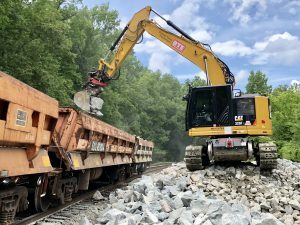 The $2-billion LIRR Main Line Third Track Expansion Project will add a third track to 9.8 miles along the congested Main Line of the LIRR between Floral Park and Hicksville and eliminate all seven street-level grade crossings within the project corridor. The $387.2-million, 12.6 mile double track project will enable the LIRR to provide more frequent off-peak service to the Ronkonkoma Branch in both directions and is expected to be completed next summer – 16 months ahead of MTA’s planned schedule. 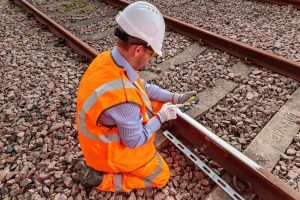 The state is building the $128-million Mid-Suffolk Storage Yard in Ronkonkoma to provide additional space for car maintenance, inspections and servicing, which will allow LIRR to increase service during the morning rush. 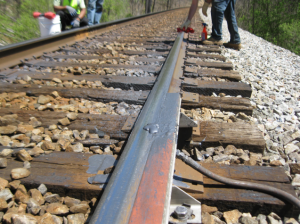 The project includes the construction of 11 additional tracks and a new 28,000 square-foot command facility. The $375-million project to reconfigure the tracks at Jamaica Station and make signal upgrades. 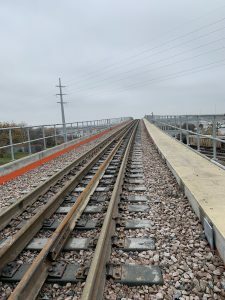 Higher speed switches, new signals, new and extended platforms are included in this project. “From the previously unthinkable Third Track and Second Track projects to state-of-the-art technology and signal upgrades, we are daring to imagine better and delivering for the people of New York once again,” said Gov. Cuomo.